In October, 2012, Makat’s children tasted their first safe, clean water. 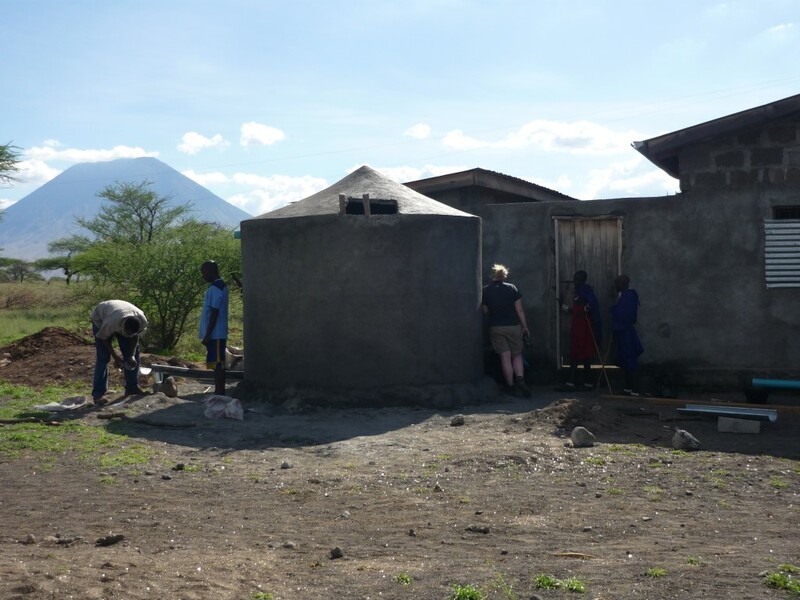 A group of volunteer/donors through Challenge Worldwide travelled to Makat to help build four rain catchment tanks at the primary school. The alternative has been water from the local springs, containing 14 times the safe level of fluoride. Water contaminated with this amount of fluoride leads to bone deformities, blackened teeth and possibly poor brain development in children. It also causes or worsens arthritis in older people. Affected children develop severe bowing of the legs, as fluoride bends the bones as they grown near the joints. Once children stop growing, the condition is irreversible. 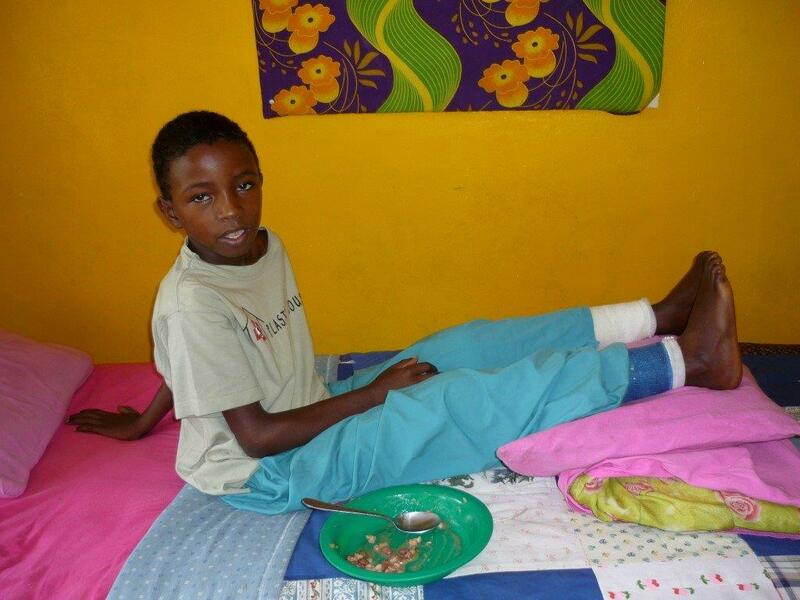 After an assessment in Makat by orthopedic therapist Sarah Wallis in 2009 and another by Penny in 2012, four children were recommended for surgery at Arusha’s Selian Hospital. The parents of two boys decided to make the long journey to town. The surgery is invasive and the recovery takes three months as the bones are broken and reset. 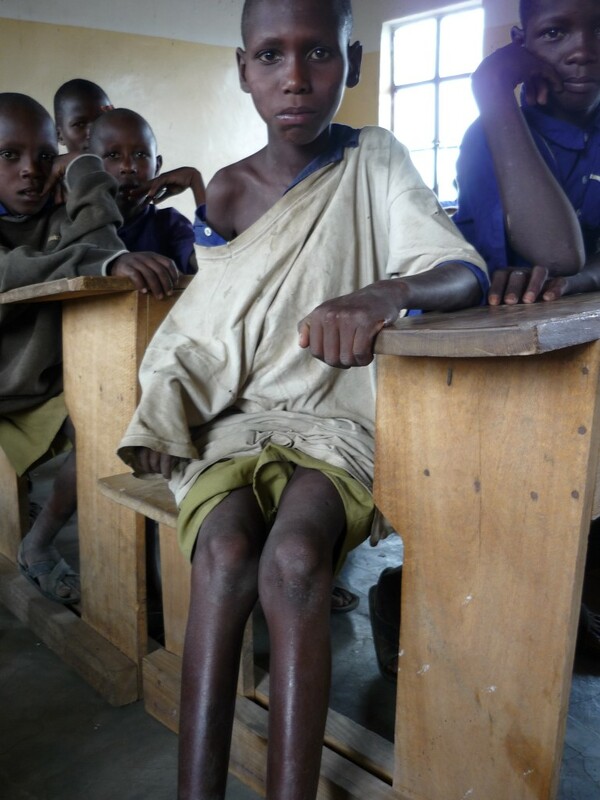 But two boys have safely returned to Makat with “new” straight legs. From the beginning, we wanted to tackle the issue at source – the water. This gushes out of the ground in Makat in a series of lush springs. In 2011, water fundi (expert), Professor Eli Dahi travelled to Makat and found the water contained levels 14 times higher than the World Health Organization’s safe water guidelines (see end of report). In 2012, we worked with Challenge Worldwide, a UK-based charity, who raised the money to build rain catchment tanks. 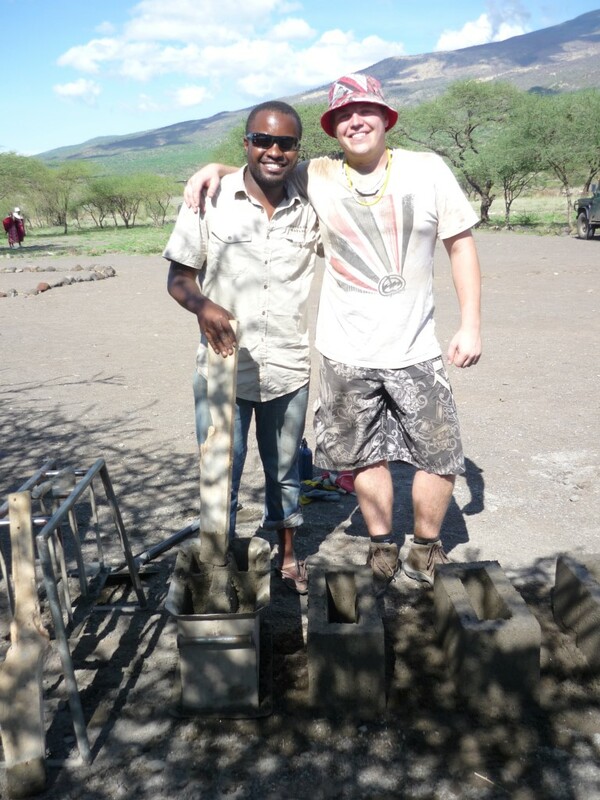 A group of CW volunteers (left) travelled to Makat in October and November. Working with a local team, they built four rain catchment tanks. Each tank holds 10-12,000 litres of rain water. Penny also held an education workshop for the villagers to help them understand fluoridosis, and why it causes the obvious bone and teeth problems. A village Water Management Committee oversees the use of water, which is reserved for children and pregnant women. The rains have been quite good this year, and we heard that all tanks were FULL in late May, 2013. With judicious use, there may be sufficient water to last until the November rains! This entry was posted in Uncategorized and tagged catchment, clean water, fluoride, Makat, Masai, tanks, water. Bookmark the permalink.